Kevin Harvick, driver of the No. 4 Busch Beer Ford Fusion for Stewart-Haas Racing (SHR), is going into the Pocono 400 Monster Energy NASCAR Cup Series race looking to add to his series-best win total this weekend at Pocono (Pa.) Raceway. However, fans may do a double-take as Harvick’s SHR teammate Clint Bowyer will have a similar look this weekend when he gets behind the wheel of the No. 14 Busch Light Ford Fusion. Bowyer and Harvick are longtime friends from back when they both broke into the Cup Series at Richard Childress Racing. The two friends were reunited at SHR in 2017, when Bowyer joined the team to drive the No. 14 Ford after brief stints at Michael Watrip Racing and HScott Motorsports. The two drivers plan to compete against each other in social media this weekend and will be on stage together Friday at Pocono’s Infield Block Party. The driver of the No. 4 Busch Beer Ford is looking to rebound after last Sunday at Charlotte (N.C.) Motor Speedway, where he started 39thand raced up to fourth by lap 83, when he cut a tire and retired to the garage for the remainder of the event to finish 40th. 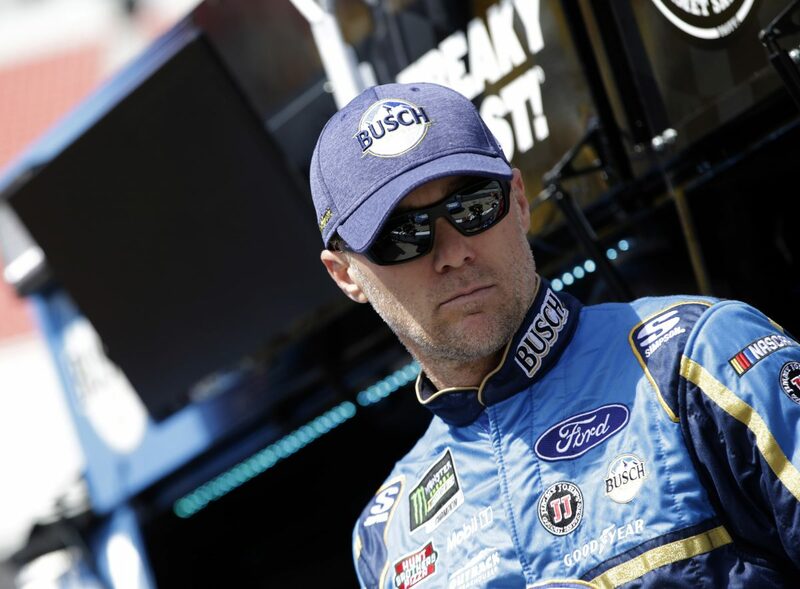 The result marked the first time in Harvick’s national series career that he finished last in an event, ending a streak that lasted 23 years and 1,089 starts without a last-place finish. While a rebound is expected after his Coca-Cola 600 finish, Pocono makes the challenge that much more difficult. The 2014 Cup Series champion has been fast nearly everywhere throughout his career, scoring wins on short tracks, intermediate tracks, road courses and superspeedways, but it’s Pocono’s unique three-turn circuit that continues to leave him puzzled. A trip to the “Tricky Triangle” has always proven challenging for Harvick. In fact, it is one of only two racetracks where Harvick has yet to record a NASCAR Cup Series win. Kentucky Speedway in Sparta is the only other Cup Series track where Harvick has yet to reach victory lane in the premier series. However, his performance in recent years could be an indication that the time has come to finally cross Pocono off the list. The driver of the No. 4 Ford Fusion has finished runner-up in his last two Cup Series starts at the 2.5-mile triangle and he has four runner-up finishes in his eight starts since joining SHR. Harvick has raced up front and has scored a Cup Series-best points-paying five race wins, a win in the Monster Energy NASCAR All-Star Race, six stage wins, and he’s led 820 laps this year through the first 13 events of the season. What are your thoughts on heading to Pocono this week? What will it be like having your teammate Clint Bowyer racing in the No. 14 Busch Light Ford? The group at Pocono has done so much to improve the infrastructure and fan experience. What does that mean for the racetrack?